Property 12: Brand new for 6 in Grace! Renovated apartment in the charm of old Lisbon. Perfect location. Property 18: Renovated apartment in the charm of old Lisbon. Perfect location. A cozy and bright apartment in the historical center! Property 19: A cozy and bright apartment in the historical center! 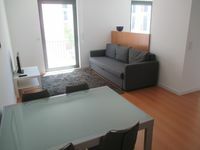 Property 29: Great apt comfortable for up to 3 persons in a historic atmosphere with air condit. 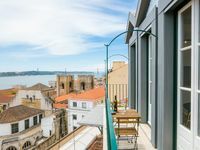 Alfama - Very bright and welcoming apartment with a beautiful Tagus view. Property 50: Alfama - Very bright and welcoming apartment with a beautiful Tagus view.